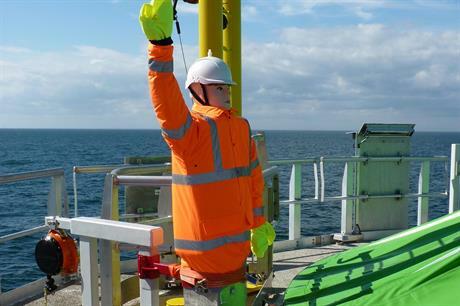 UK: A scarecrow model installed on an offshore wind turbine designed to stop bird droppings has had "astonishing" results. 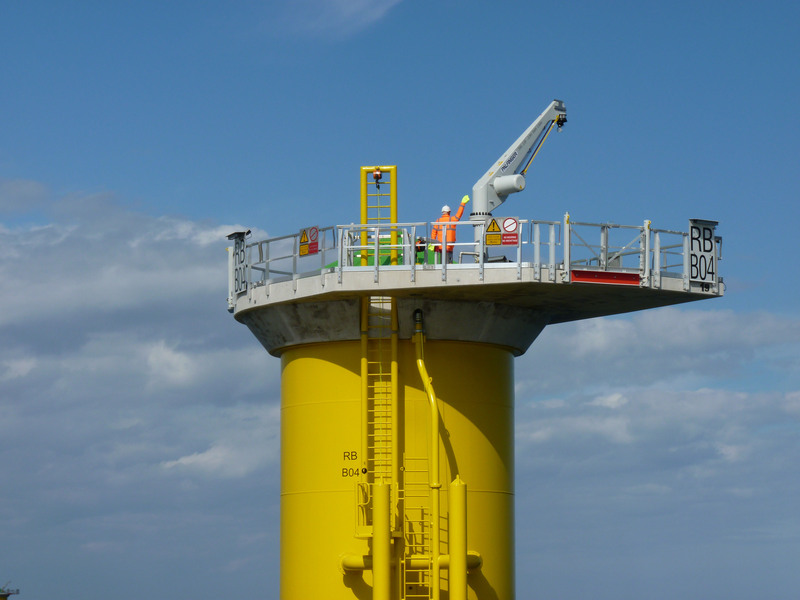 The trial of the scarecrow in high-visibility clothing on a turbine at Dong Energy's Race Bank project was the brainchild of Scaretech Global. Scaretech said bird droppings — "guano" — costs the industry "millions of pounds a year" by causing delays and clean-up costs. Over a three-week trial period, no new droppings were found on the structure, Scaretech said. The idea was developed by four wind industry professionals after a jacket was left on a wind turbine. The model is securely attached to the transition piece, dressed like an offshore wind worker. It is made out of steel, foam and PVC. 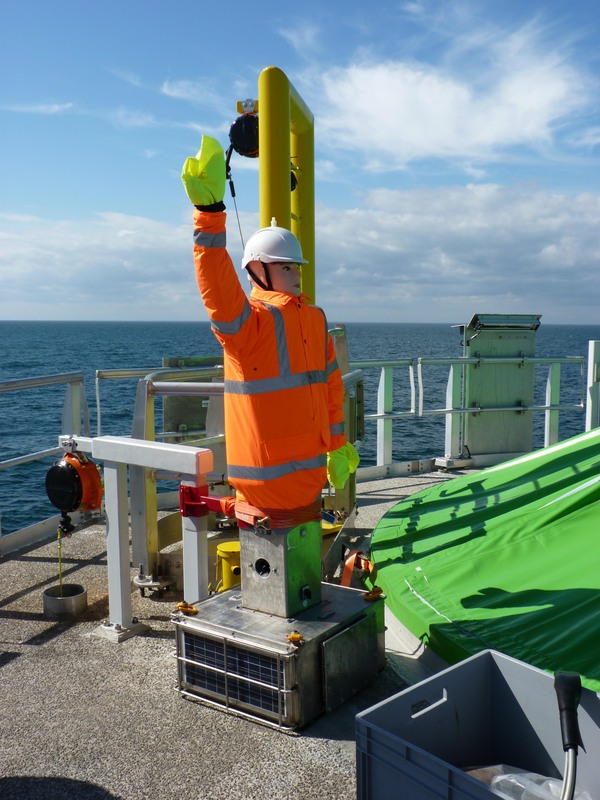 It is also equipped with solar panel so the model can emit "sporadic and sensored loud noises and high intensity strobe lights which deter seabirds". Richard Appleby, health and safety adviser for Dong Energy said: "Guano is a huge problem for wind companies — particularly during the construction phase as it can cause unacceptable delays on projects and significantly ramp up costs. Health and safety is an absolute priority to Dong Energy so this product provides a solution we've been searching for. "I was present when the Scaretech system was originally installed, and the results of the trial were frankly astonishing. "To be honest, I wasn't expecting this system to be as successful as it has proved to be, but the results are there for all to see. From a health and safety aspect I'm more than happy to give Scaretech a huge thumbs-up. This product is a gamechanger for the wind industry and the guano issue." Scaretech is now looking to roll out the system across the industry.